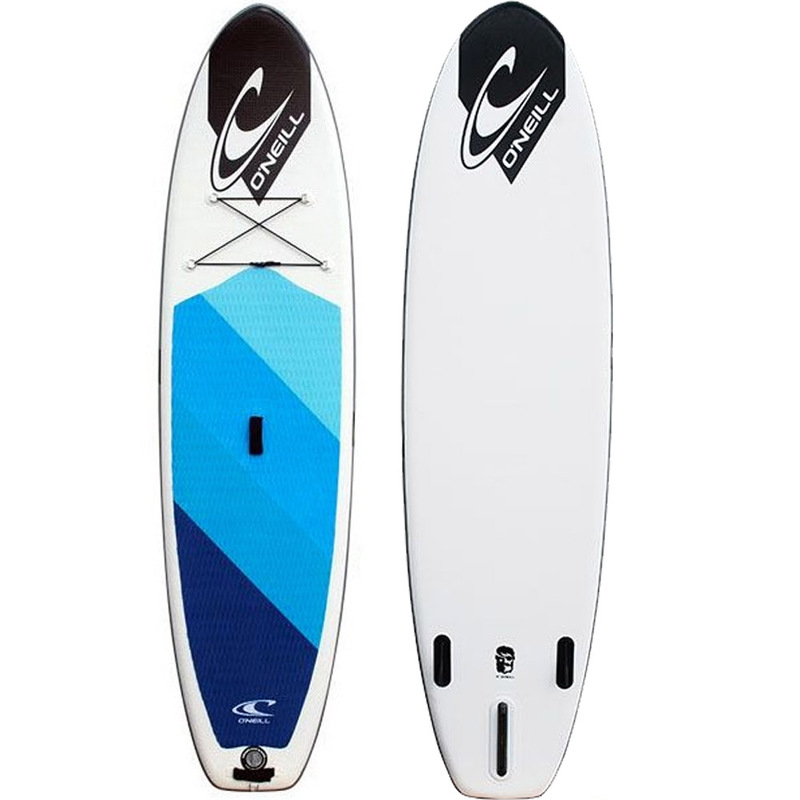 Our re-newed Desna is a favourite of our experienced riders. 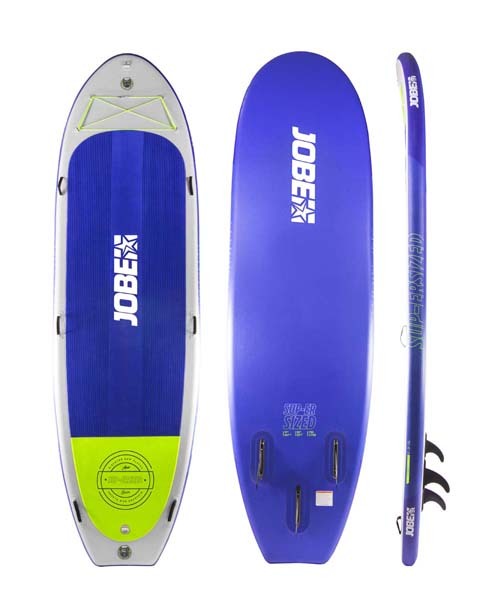 Its popular for its manoeuvrability and speed. Desna is manufactured using industry leading techniques like our innovative drop stitch technology which makes her light, strong and durable. 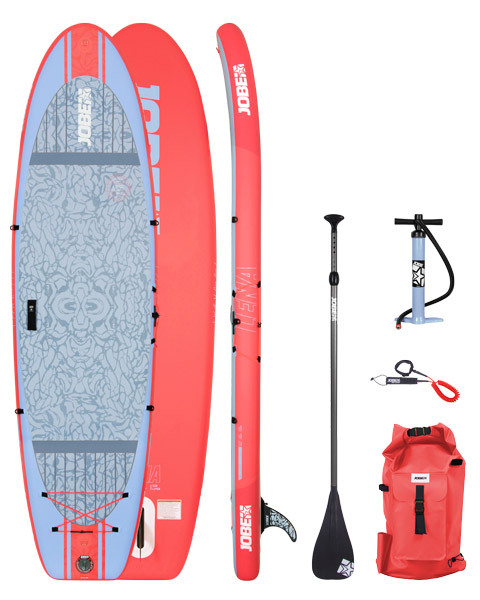 Our Aero SUP-packages come with a bungee storage net to stow your luggage under and is equipped with a supreme luxurious neoprene-wrapped grab handle and paddle holders on the sides. 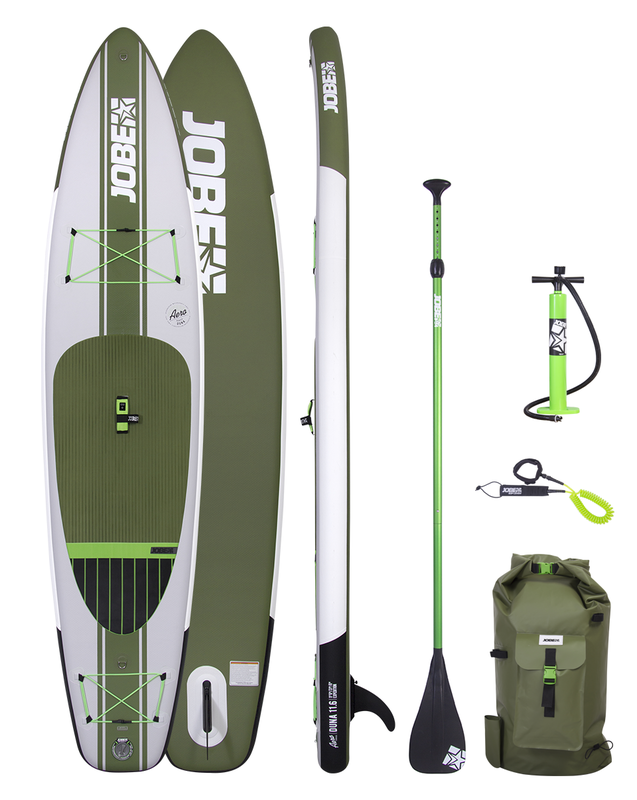 All Jobe's inflatable boards come in a full & favourable package, including a waterproof backpack with front pockets, an aluminium paddle, a repair kit, a transparent leash and a shiny high-quality fin. 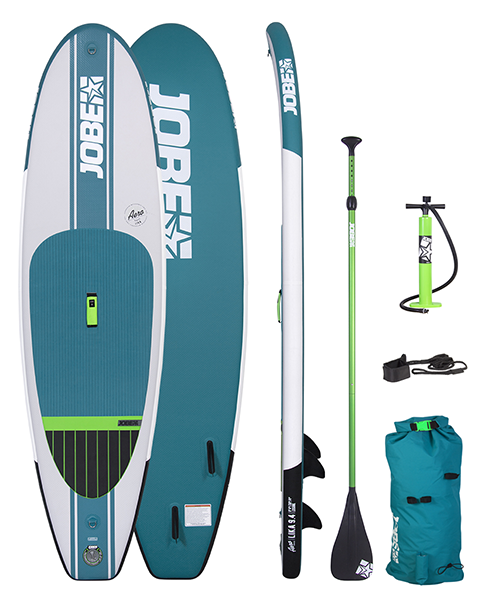 Easy to inflate & deflate, with a Jobe inflatable package you’re on the water in no-time. 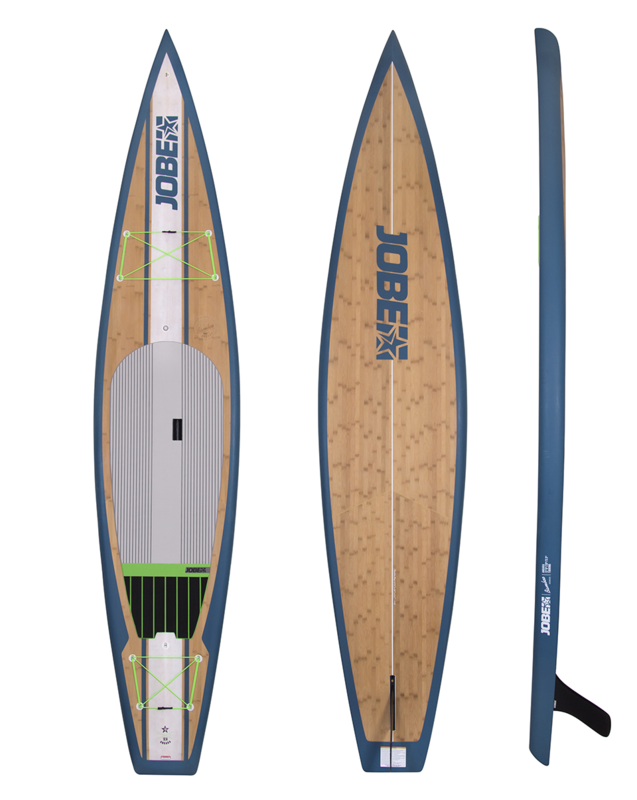 Choose a paddleboard wisely and think long-term: we'd love to show you why paddling with a Jobe-board feels like pure luxury and freedom on the water. 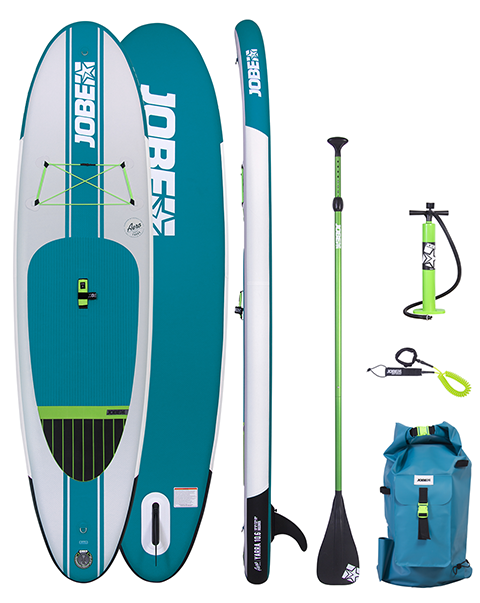 All Jobe's inflatable boards come in a full & favourable package, including a waterproof backpack with front pockets, an aluminium paddle, a repair kit, a transparent leash and a shiny high-quality fin. 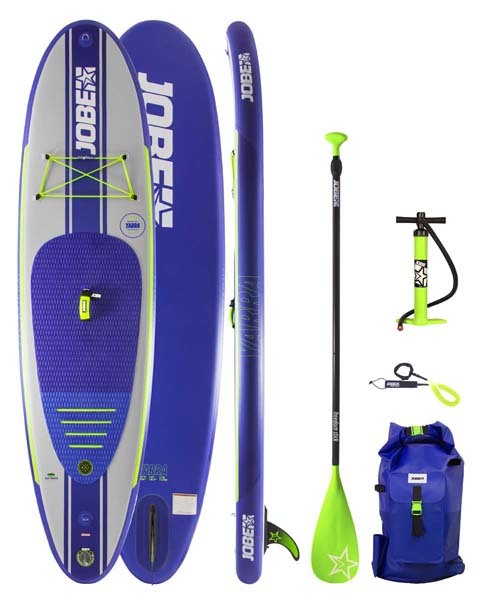 Easy to inflate & deflate, with a Jobe inflatable package you’re on the water in no-time.